"I am really happy with the sportsmanship in the league and very pleased with how far we have come as a league in one short year," Marc Ganzi said. "I think we have shown people a lot, wide open polo at its best." "Everyone worked hard to make this league a success its first year," said Melissa Ganzi. "We couldn't have asked for a more successful year and can't wait for next season." 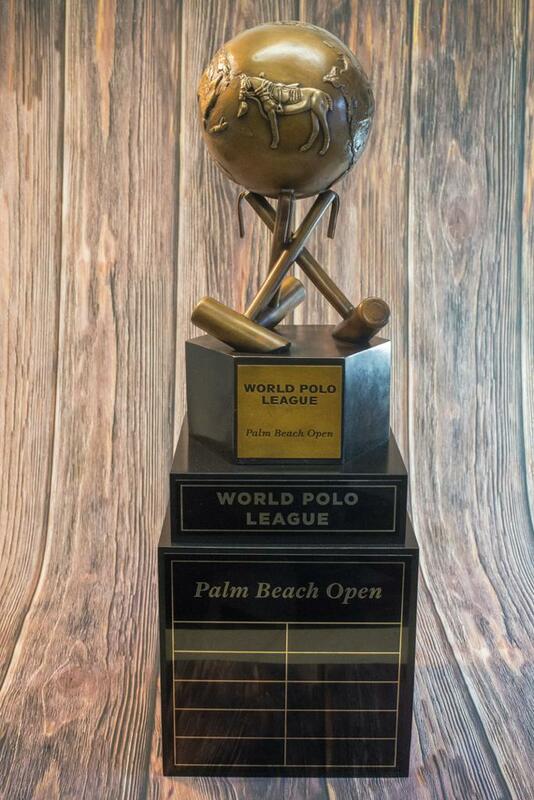 The four WPL tournaments during the inaugural season thrilled record crowds, worldwide livestream viewing audiences and sponsors at Grand Champions Polo Club, Valiente Polo Farm and Jan Pamela Field. In the season-opening All Star Challenge Tournament, Valiente (Agustin Nero, 6, Santi Torres, 6, Pablo MacDonough, 10, Poroto Cambiaso, 3) earned a 10-9 overtime victory over Colorado (Rob Jornayvaz, 2, Juan Martin Zubia, 7, Rodrigo Andrade, 9, Jero del Carril, 7). In the Founders Cup final, Grand Champions (Grant Ganzi, 3, Juancito Bollini, 4, Rodrigo Andrade, 9, Juan Martin Nero, 10), knocked off Valiente (Bob Jornayvaz, 2, Agustin Nero, 6, Santi Torres, 6, Adolfo Cambiaso, 10), 12-11 in overtime. In the Palm Beach Open, SD Farms (Sayyu Dantata, 2, Santi Torres, 6, Guillermo Terrera, 8, Adolfo Cambiaso, 10) won its first 26-goal title in team history with an 11-6 rout of Audi (Marc Ganzi, 2, Nic Roldan, 8, Pablo MacDonough, 10, Kris Kampsen, 6). It was also the first 26-goal WPL tournament wins for Dantata and Cambiaso. In the thrilling rain-soaked season finale, Colorado (Rob Jornayvaz, 2, Juan Martin Zubia, 7, Jero del Carril, 7, Adolfo Cambiaso, 10) held off Audi (Marc Ganzi, 2, Nic Roldan, 8, Pablo MacDonough, 10, Kris Kampsen, 6), 9-8, to win the prestigious Triple Crown of Polo. "It's been a fun season," Nic Roldan said. "It went by really quick. Of course I will be back, this is it, this is our baby. We are here for the long run and hopefully this can go on for many years to come." The league's top scorers were: Pelon Stirling, 74; Pablo MacDonough, 73; Juan Martin Nero, 71; Guillermo Terrera, 69; Diego Cavanagh, 63; Adolfo Cambiaso, 61; Juan Martin Zubia, 61; Jero del Carril, 57; Juan Martin Obregon, 56; and Nic Roldan, 53. "I had a lot of fun playing in the World Polo League," said Santi Torres, now off to Houston and Denver for the summer. "I think it was good for the first year. I liked the rules. It was more open and not so boring like the regular rules. It doesn't get as choppy and it's more fun to watch." On Monday night, the WPL Awards and Farewell Dinner was held at St. Regis Bal Harbour Resort to honor the top players, horses, sponsors and media. The "Polo Is Beautiful" awards were designed by popular French pop artist Thierry Guetta, known as Mr. Brainwash. American Polo Horse Association Horse of the Year 2019: Miami, Adolfo Cambiaso and Bob Jornayvaz. "It was amazing, I think it was a great season," Cambiaso said. "I am very happy with the World Polo League and I think it will get better and better every year. It did exceed my expectations but obviously you can get better. That's the idea." American Polo Horse Association Triple Crown of Polo Horse of the 2019 Season: La Irenita Pizza, owned and played by Pablo MacDonough. WPL 2019 Triple Crown of Polo String of the Year (played in more than one Triple Crown of Polo tournament location, (Aspen and Wellington): Alejandro Novillo Astrada. WPL 2019 Horse Personality of the Year Viewers' Choice: Jordi, Palomino stallion played by Rob Jornayvaz. "The season went pretty quick, it definitely seemed like a lot of games," Jornayvaz said. "I think it was a great season. We saw a lot of really fantastic games. I look back and there were a ton of games fantastic to play from the inside and fantastic to watch from the outside. That alone is amazing." WPL Corporate Partner of the Year: Josh Cohen, ESPN West Palm, Good Karma Brands. WPL Legend of Polo: Pablo MacDonough, Audi. "It's unbelievable the first season is over, time flies," MacDonough said. "The league has been great for all of us. I think the World Polo League is a huge success and I am very happy to be part of this since the very first day. I want to come back next year." WPL Spirit Award: Olexa Celine, WPL awards presenter and loyal fan. WPL Play of the Day: Nacho Figueras, Black Watch, stopped an opponent's goal with a broken mallet. WPL Viewer's Choice Player Personality Award: Juan Bollini, the player who made viewers feel the emotion and passion for the sport both as a player and color commentator. WPL Social Media Post of the Year Award: Tucan Pereyra Iraola, who has supported and promoted the World Polo League since Day One with both professionalism, passion and above all, humor.